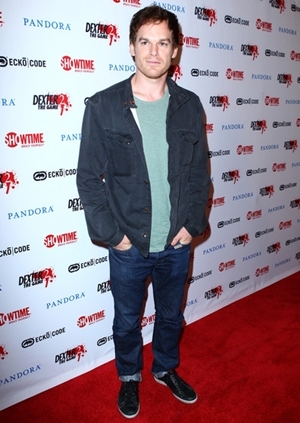 Michael Carlyle Hall is an American actor born on February 1, 1971. He was interested in acting since his childhood and performed in What Love Is while in second grade at Ravenscroft School. When he was in fifth grade, Michael started singing and afterwards in high school musicals starred in standards like Fiddler on the Roof and The Sound of Music. Hall began his professional acting career from the theatre, Off-Broadway by appearing in Cymbeline and Macbeth. 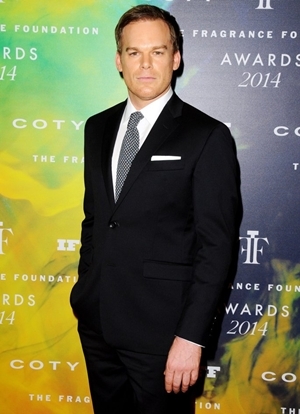 In 2001, Michael landed a role of David Fisher in the television series Six Feet Under which provided him with recognition and success and was also nominated for the Emmy Award for Outstanding Lead Actor in a Drama Series. But his major breakthrough came in with the 2006 Showtime television series Dexter, he portrayed the role of Dexter Morgan in it and earned several awards and nominations for this role including Emmy Awards, Golden Globe Award and Screen Actors Guild Award. In coming years, Hall performed variety of roles in numerous films and television series such as Dexter: Early Cuts, Peep World and The Trouble with Bliss. Philanthropically, Michael worked to promote a limited edition skin care line which benefits the Waterkeeper Alliance, an environmental nonprofit organization that works towards safe and clean water worldwide. 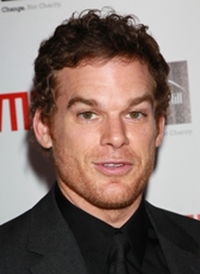 In his personal life, Michael C. Hall married twice. Firstly with actress Amy Spanger in 2002 but they separated in 2007. Afterwards, he became married with Jennifer Carpenter in 2008 and the couple ended up their relationship in 2011. Since 2012, he has been dating Morgan Macgregor. Birthplace: Raleigh, North Carolina, U.S. Following are the actor Michael C Hall body measurements details including his weight, height, chest, waist, biceps and shoe size. Initially, Michael wanted to become a lawyer. The actor had a sister who died before his birth. His ex-wife Jennifer Carpenter actually played the character of his sister in Dexter TV series.